Now, if you want to know if they site you're visiting is running IPv4 or IPv6, I'd recommend installing the "sixornot" Firefox plugin, which reveals this at a glance. The plugin is available from Mozilla Add-ons page and adds a decent dropdown to the right of the address bar. 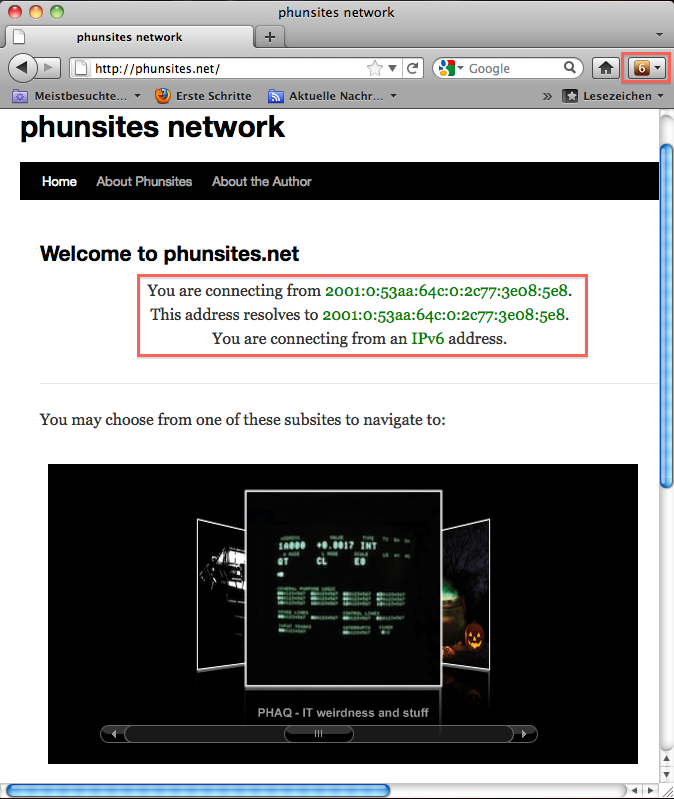 This will help you identify quickly which protocol the site is running. 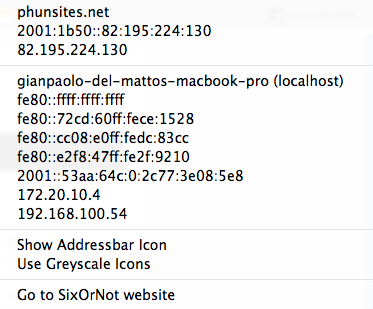 Klicking on the dropdown will reveal further information about the remote and local IP addresses. After all, a very decent plugin without any bloat. Thanks to the author.